says Sadhguru, leaving readers in no doubt of thecategorytowhich they belong! That sounds damning. But mistakescanthankfullybe rectified. 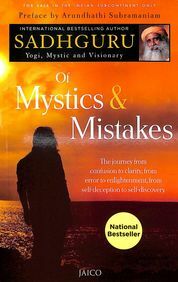 And thats the hope this book holds outtoseekers.It reminds us that each one of us can make thejourneyfromconfusion to clarity, from error toenlightenment,fromself-deception to self-discovery if only wechoose.